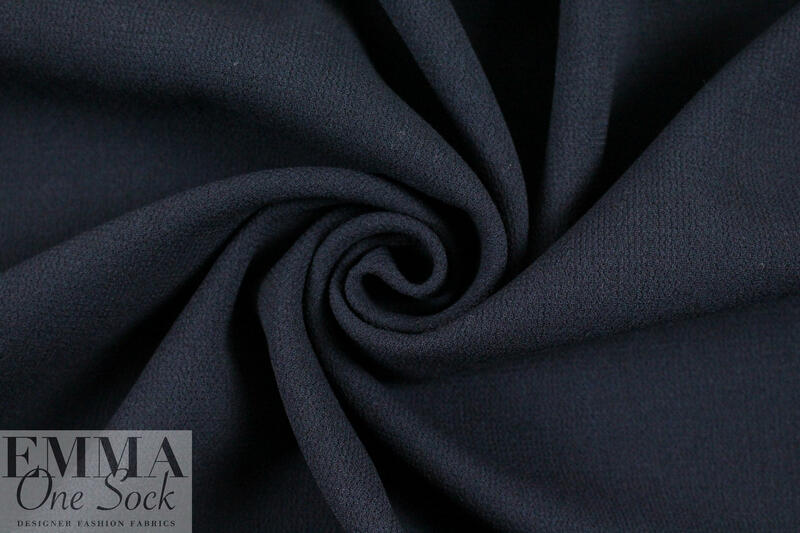 This gorgeous stretch wool doublecloth crepe is elegant and very high quality, with a textured surface and a woven selvage. It has about 15% stretch in the width only, and is medium weight and opaque with some body in the drape. The two layers are woven together, so it is a true doublecloth, and the layers come apart nicely. 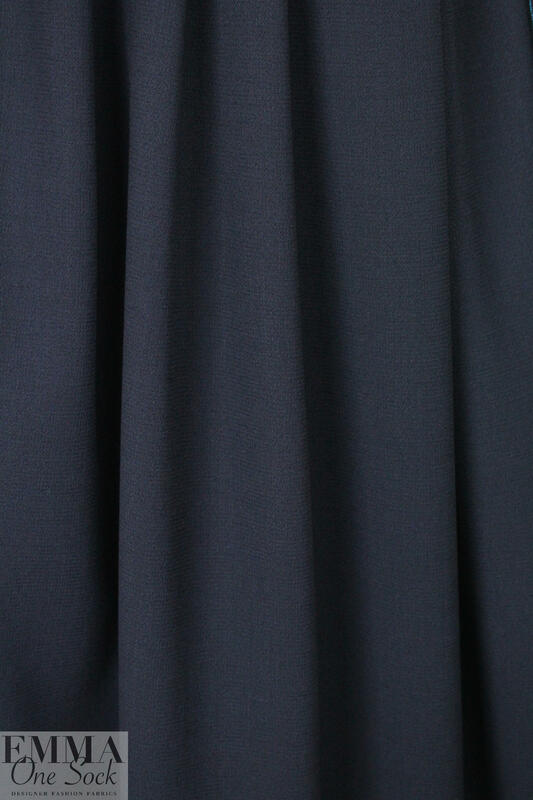 The color is midnight navy (PANTONE 19-3920) and it is sophisticated, classic ... a true luxury item! 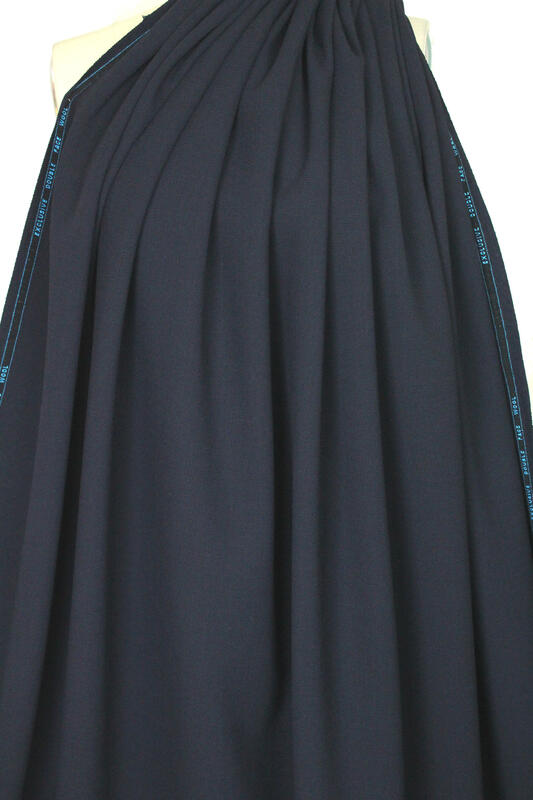 It is perfect for a suit, jacket, sheath dress, pencil skirt, topper coat, etc. Dry cleaning recommended. Other colors are available.